As soon as I had concurred my fear of pie crusts, I wanted to make an abundance of fillings to go inside. 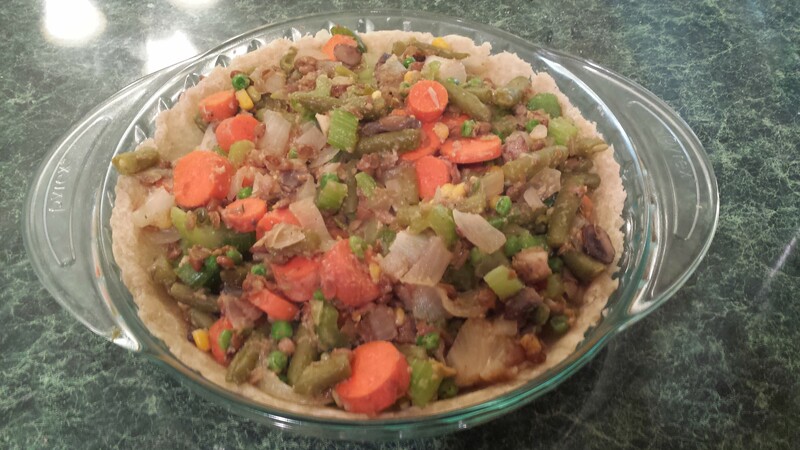 I was also still searching for a hearty main dish for my ‘Majorly Awesome Vegan/Gluten Free Thanksgiving Recipe Roundup’, so vegetable pot pie seemed to fit that bill as well. Pot Pies have a twinge of magic in them – a buttery, flaky crust piping full of warm and soft vegetables, blanketed in a savory sauce. I even added some lentils to mine – which you barely even notice, but it gives the pie a great boast. On top of being delicious, pot pies are amazingly versatile. If you don’t want to make a full pie, make small muffin cups for individual servings. Pot pies are also awesome for freezing for future meals, which I am always a fan of. 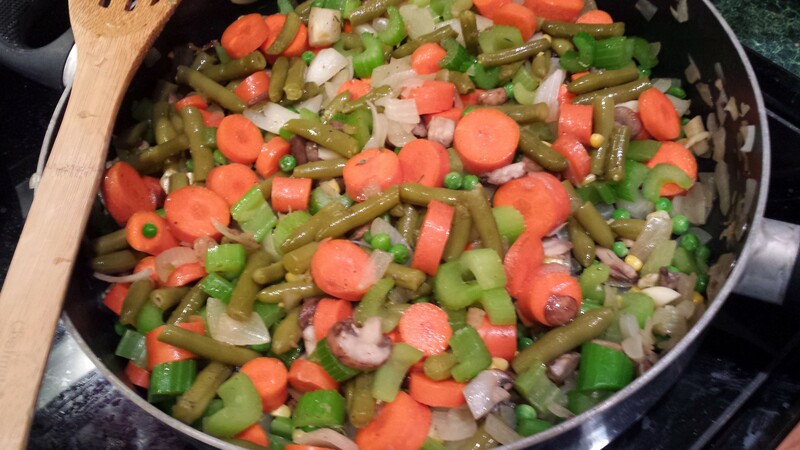 If you don’t like some of the vegetables I included, feel free to switch it up! 7. 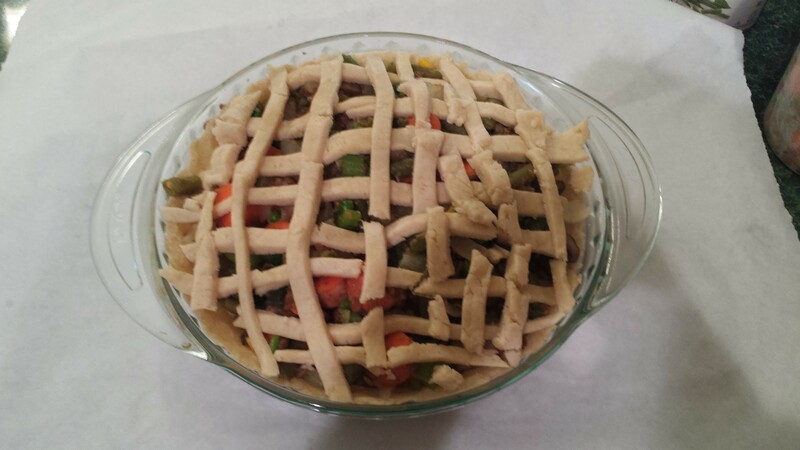 Add pie filling to prepared pie crust. I had about 1/2 cup of filling leftover. 8. Layer the top pie piece in strips on the pie (or, however you desire). About halfway through doing this, my top pie pieces had a ‘toddler meltdown’, I just went with it. I figured it’d look ‘rustic..’ or something. 10. Serve warm, store any leftovers covered tightly. What else would you put in your pie crust?